So here we go. Our first glimpse at whether England might be able to go all the way at this summer’s World Cup, or confirmation that we’ll be crashing out to the likes of Tunisia in no time at all. England vs Nigeria is a substantial first test for the Three Lions, and we can tell you how to get a live stream of the friendly for free wherever you live. 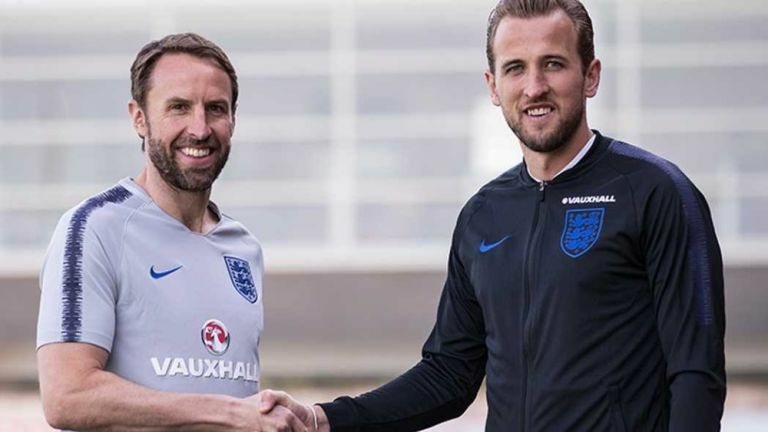 Gareth Southgate’s preparations for the UEFA World Cup finals in Russia have been some of the smoothest and least fraught that England have enjoyed in recent memory. Qualifying was a piece of cake and the squad pretty much picked itself (sorry Joe Hart!). Controversial tattoos aside, the only thing the press can really talk about is the amount of talent in the young England football squad. But Nigeria – who have also qualified for the World Cup finals – are far from pushovers, with a team including Premier League stars past and present such as Kelechi Iheanacho, Victor Moses and John Obi Mikel. Follow our handy tips to stream the England vs Nigeria friendly live – we’ll tell you how to watch for free even if the country where you live isn’t broadcasting it. In the UK, the England vs Nigeria game is being broadcast live on ITV for free. And if you won't be in front of your TV then you can catch it online or via the ITV Hub app on Android or iOS. Coverage starts at 5PM on ITV – immediately following coverage of the Epsom Derby – so there isn't much in the way of build up before the 5.15pm BST kick-off. Once it's been downloaded and installed, open the app and select a UK server location (it's super easy) and then head over to TVPlayer.com, which will let you watch the whole match, regardless of where you actually are in the world. from 5.15pm BST / 12.15pm ET / 11.15am PT / 2.15am AEST. Where else has an England vs Nigeria live stream? As you might imagine, no other country we've found has a free live stream of the football. if you're out of the UK and want to watch without paying then there's no better alternative than going down the VPN route as described above. Fox has the game in the US, with the likes of Fox Soccer Match Pass, Fubo or Sling TV all offering shorter subscription services if you don't want to commit to cable. The Sportsnet Now app is where you can watch in Canada, allowing you to stream through various devices to your TV, or allowing you to watch on phone or tablet if (like Nigeria) you're away from home. Wow! You must really want to see the England game to stay up this late/get up this early in Australia. Then you probably won't mind paying the $19.99 a month fee to access the beIN Sports service.